As per The U.S. State Department, motor vehicle crashes are the major cause of death in Americans who are healthy while traveling overseas, not infectious diseases, crime, plane crashes or even terrorism. When we are away from home, we are out of our comfort zones and we tend to forget basic common sense things that could keep us alive. Avoid these silly mistakes and keep yourself safe. Knowing the driving laws of the destination where you will be driving is crucial and you must know this before you go. A road safety section for all countries worldwide is listed with The US Department of State. If the country has an embassy in the USA, you can get a copy of that country's driving laws. The info is also available from tourism offices of foreign countries and from your destination's car rental company. An even simpler option is to get this info from your travel agent. Even if you won't be driving, as a pedestrian you should still be aware of the local driving habits. Pedestrians are the biggest victims of car accidents overseas, not drivers. Want to take a guess as to which are the most dangerous places for drivers? According to Budget.com's research, Johannesburg, South Africa (the world's carjacking capital), India's cow-filled streets and the dangerous cliff facing roads in Bolivia are the most dangerous roads to drive on. Over 150 countries accept International Driving Permits (IDPs) which have your photo, name and driver details in 10 different languages. The American Automobile Association (AAA) states you should still get an IDP even if you are not planning to drive. The reason? 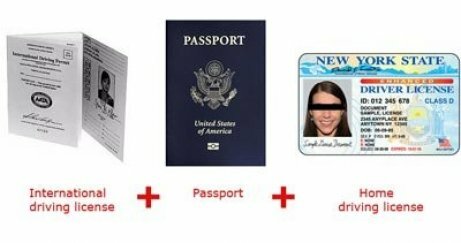 Should you have to communicate with foreign authorities, the IDP is an acceptable form of ID and will cut through a lot of red tapes. Not sure how to get an IDP? Check out your local AAA office or On Call International (a travel assistance company) before traveling. The DP will often also called International Drivers License (IDL) which is normal not correct. Please note: You ALWAYS have to show up at the car rental counter not only with an International Driving Permit you need in addition your home driving license and your passport. No rental company will hand out a car when you only have the IDP and no home driving license!! 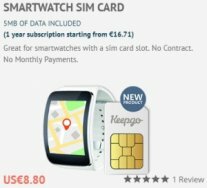 Is the GPS unit you bought in the US compatible in another country? The answer is yes. However, you might have to purchase the maps for where you plan to drive. There might be a few exceptions, to be sure check out the maker of the GPS unit. 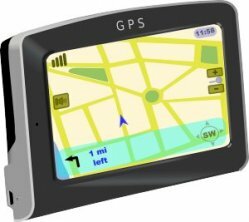 Please note: GPS units are usually available from most car rental companies overseas, you will want to make sure it speaks English or whatever language you speak the best BEFORE leaving the car rental office. 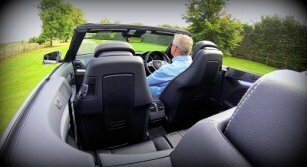 We can request a GPS Navigation with all car rentals and the fee which has to be paid at the car rental desk vary from company to company and country. The fee will be appr. Euro 8 -15,- per day, weekly and monthly rates will be cheaper. Be aware that you have to pay a one-way fee when the car has a GPS and the deposit normally will be higher. If you travel regularly, you know a small first aid kit is handy in emergencies. They are very useful if your travels take you far away from a drugstore. 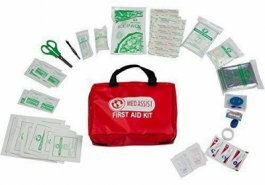 Want to know what to include in your first aid travel kit? Take a look at The Centers for Disease Control’s website. 5. 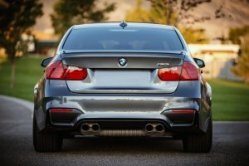 What Are Your Auto Insurance Options? Similar to health insurance, generally your US auto insurance will not cover you overseas. If you are traveling to Mexico or Canada, there might be exceptions to US citizens. Be sure insurance is included in the rental package when you are renting a car abroad. If it is not included, seriously consider buying the extra insurance coverage, especially if it is not equivalent to the coverage you have at home. We recommend to book your car with us and use our special Trouble-Free Car Rental offer because all mandatory costs are included as well as all the CDW and Theft insurance without any deductible! The Centers for Disease Control states that almost 50% of medical evacuations returning to the U.S. are from a car accident. The bad news is that they are very expensive and depending on your travel location it can run as much as €95,666.32 and is not included in most travel insurance plans. Most people will not experience an emergency when traveling overseas, but keep in mind they can and do happen. When you buy insurance from a travel assistance company such as On Call International that includes medical evacuation coverage, you will get life-saving help when you really need it and the financial responsibility of a medical evacuation back to the US is significantly reduced. We recommend to purchase the Travel Insurance Package from DriveEurope.com which includes the Travel Medical Insurance, the Emergency Assistance Insurance, the Travel Accident Insurance as well as Travel Liability Insurance. Get the European Travel Insurance Packages and travel safely! ✅ Do they drive on the left or right side of the road? ✅ Are you allowed to turn right at a red light? ✅ Are cell phones allowed while driving? ✅ What are the seatbelt laws of the country? ✅ Does the country have a minimum or a maximum driving age? ✅ Should you honk your horn before driving around a sharp corner? ✅ Do you have to flash your headlights before overtaking? ✅ Are any special road permits required (besides tolls) for use on their highways? Driving without a permit will get you a fine in most countries. In Austria, Czech Republic, and Switzerland you have to get a sticker at the border. When you don’t have one the fine is very expensive!! In Italy or France you have to pay on most motorways the toll fee directly at the gate, keep cash to have it because often credit cards are not accepted. Traffic violation in Switzerland should be avoided at all!! Otherwise it is easily possible to pay some thousands of dollars fine! Please Drive Safe - Happy Travelling!